Nerdy Bird Tweets by Aaron Reynolds is a great book for starting important conversations with children about social media, online friends, being a good friend and online behaviour. As a parent, we need to start having conversations with our kids about the online world sooner rather than later. Books like this help parents to prepare their child for what they will encounter online. This book provides an opportunity to start talking about the lure of games and social media, and how they have their good points, as well as their bad points. You can chat about friendships. What makes a good friend? Are online friends, good friends? What does it mean when you ave 500 friends? You can chat about how to behave responsibly and safely online. Work out what your family rules are for being online. 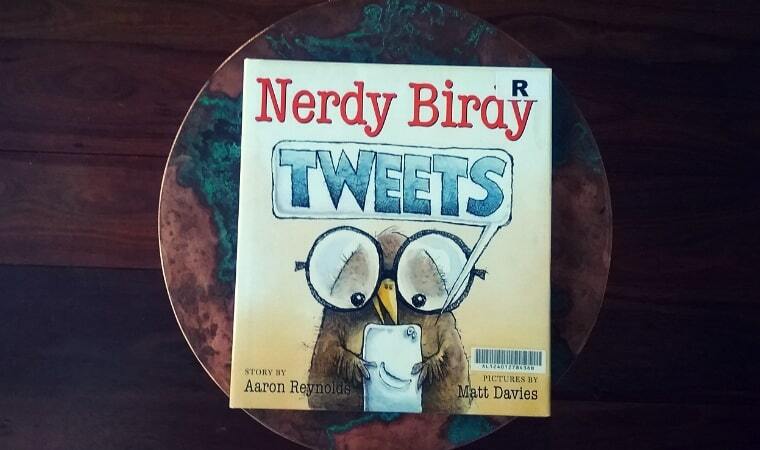 Nerdy Bird Tweets by Aaron Reynolds is ideal for children between the ages of 4 – 10 years of age. Download a copy of Nerdy Bird Tweets by Aaron Reynolds from from Amazon or Book Depository or Booktopia.